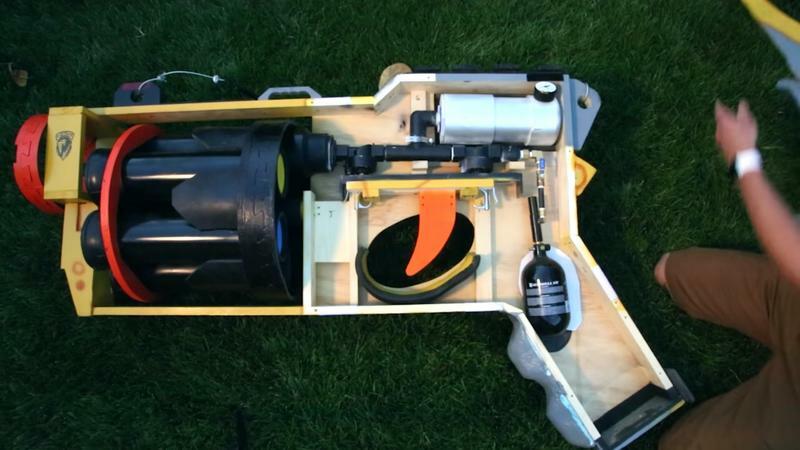 The next time your neighbor won’t turn down their music, declare war by unleashing this hilarious, obnoxiously dangerous Nerf cannon. Nerf guns are already inappropriately sophisticated machine, sometimes using motors to wage warfare across living rooms everywhere. 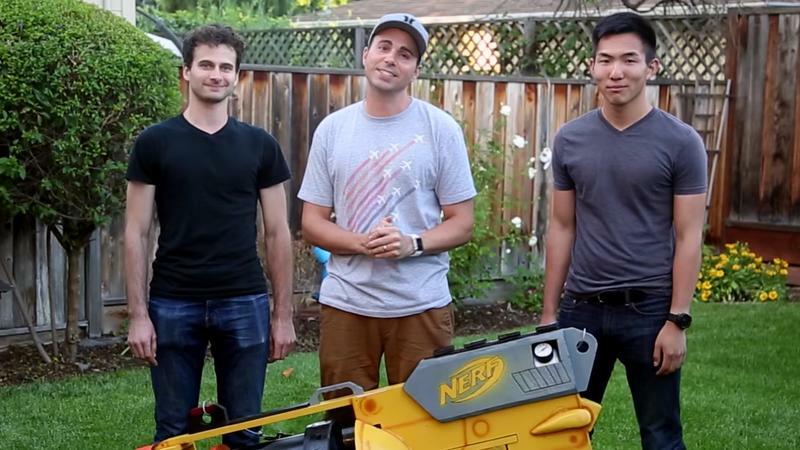 But this one, made by Mark Rober, is next level. It looks like something Shaq would use if he ever entered the police force. 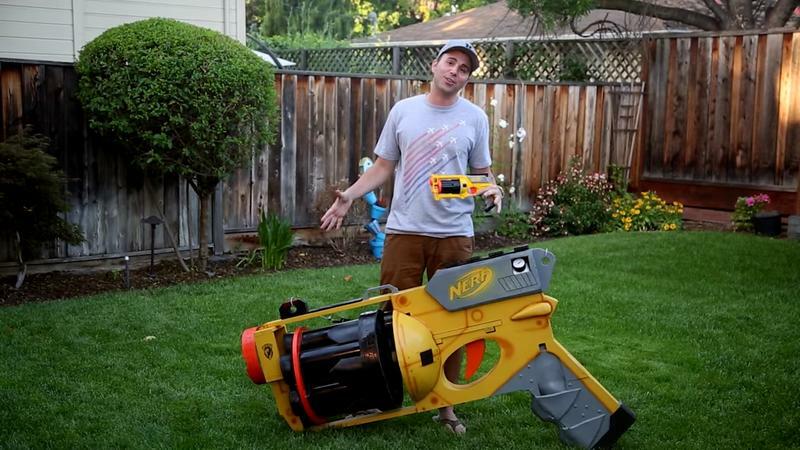 A massive Nerf gun requires unusually large bullets, right? 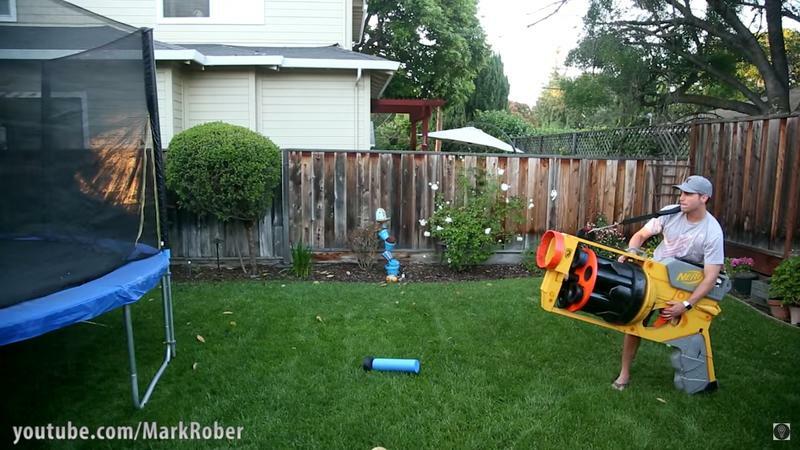 Instead of normal, sausage-sized darts, Rober created his own using pool noodles and toilet plungers. That combination doesn’t sound all that dangerous until you realize these “darts” can be shot at over 40 mph. And if you want to strike from afar, the cannon is capable of launching projectiles up to 130 yards. The Nerf gun isn’t the most practical on the market, but it’s so amusingly big that nobody would dare to engage it in a duel. 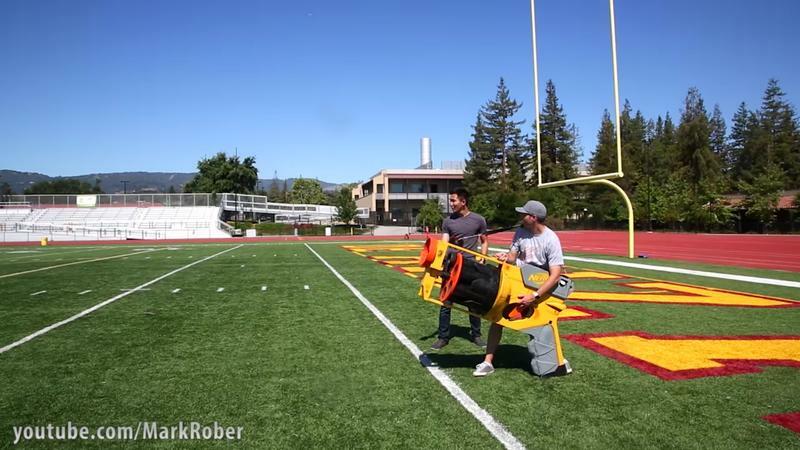 Check out the video to see the gun in action, and make sure never to pick a fight with Mark Rober.